Okay, can I just love ALL the seasons? Fall – the leaves, the crisp air, sweaters. Winter = snowboarding. Summer – well, what can I say? It’s SUMMER! And Spring, here you are again – the season of new growth, the season of opportunity, the season of beginnings. 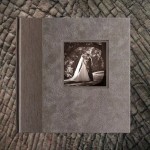 FREE Eco-friendly wedding album on earth day! Having your second baby is a different experience than the first time you are pregnant. You are already a family – waiting for the newest member to arrive! Loved this photo shoot with Susan and her beautiful family.